“This is fun!” another shouted, apparently not realizing that the ferry would soon capsize and sink. 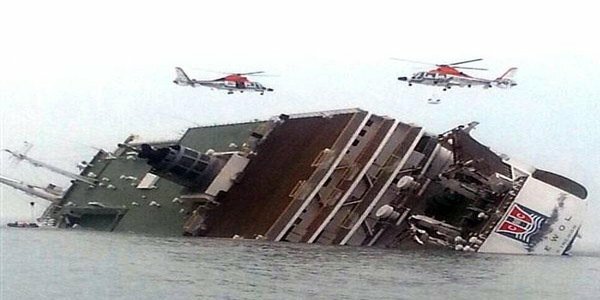 In videos recovered from the cellphones of passengers aboard the ferry Sewol, a voice can be heard over the ship’s intercom urging students and their teachers to stay put, telling them they are safer where they are. But as the ship continued to tip and the voice over the intercom repeated the same instructions, panic spread. Some passengers apparently sensed the approaching doom, and sent farewells to their families. “This looks like the end!” a boy shouted into a smartphone held by one of his classmates, Park Su-hyeon. The young passengers were among 325 second-year high school students on board the 6,825-ton ferry, which sank April 16. After Su-hyeon, 17, was found dead, the police returned the boy’s recovered personal items to his family, who discovered the video footage on his phone. This week, his father, Park Jong-dae, released the video to the local news media, saying that South Koreans must watch it to learn what went wrong. As of Wednesday, 210 people were confirmed dead, with 92 still missing. Of the dead or missing, 250 were students on a school trip to a resort island. Among the text messages, photos and video clips that have been produced by passengers of the ill-fated ship, Su-hyeon’s 15-minute footage bears the most dramatic witness to the panic and fear, as well as youthful naivete; and optimism, of the students trapped inside the ship while many of the crew members, including the captain, were among the first to desert their vessel. “This is by far the most heartbreaking scene I have seen in my 27-year broadcasting career,” said Choi Seung-ho, a veteran television producer, when he introduced the footage on Newstapa, a website run by the Korea Center for Investigative Journalism. JTBC, a cable channel, also broadcast a shorter version of the video. The footage was edited to blur the faces of the students, and the students whose voices were captured were not identified. Su-hyeon’s video begins at 8:52 a.m. April 16. That was three minutes before the ferry sent its first distress signal to maritime traffic controllers on shore. “The ship is leaning!” one passenger can be heard saying. “Help me!” another said, sounding almost as if it were part of a youthful prank. As students felt the ship shuddering and wondered whether it was sinking, a crew member came onto the intercom, urging students to stay put. Though the vessel had tilted so much that some students were grabbing the railings on the wall to hang on, the video showed no sign of students trying to escape. At 8:53, a voice on the intercom again advised the passengers not to move. “What? Hurry! Save us!” a student shrieked. Another wondered, “Are we going to die?” A minute later, as the ship listed further, some students suggested donning life jackets. An announcement over the intercom again instructed passengers to stay where they were. Over the intercom, the students were again urged not to move and to hold onto what they could. The ship’s captain and crew members later told reporters and investigators that they had thought it was safer for the passengers to stay in their cabins than to move in a panicked mass, causing the ship to list faster, or for them to jump into cold waters when the rescue ships were still far away. After a 2 1/2-minute break, the video resumed at 9:00, when students began passing one another life jackets and one wanted to have a picture taken as a “souvenir.” Some students complained that the zippers of their life jackets did not work, and one student gave his life jacket to a classmate who could not find one. “What about you?” the classmate asked. Amid the growing panic, one boy shouted that he did not want to die. “I still have lots of animation movies I haven’t watched yet,” he said. Another boy made a V sign with his fingers in front of the phone’s camera. Three minutes later, students yelled “Silence! Silence!” as the ship’s intercom crackled again, repeating the same message: stay put and wear life jackets if possible. At 9:07, the voice over the intercom repeated the instruction. At 9:08, a minute before the video ends, one student was heard saying, “I am scared,” and others wondered whether their teacher was safe. More than 20 minutes later, the first Coast Guard helicopters and ships arrived at the scene. Video from another student’s phone shows female students cheering when they hear helicopters overhead. That four-minute video was taken beginning at 9:37 by Park Ye-seul, who died on the ferry, and was released to JTBC by her father. 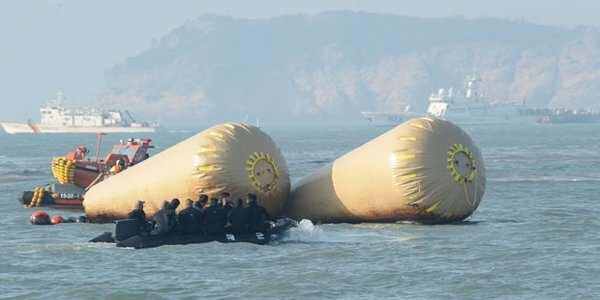 One of Ye-seul’s classmates could be heard pleading: “Save us, save us.” But one of the first things the Coast Guard rescuers did was help the ship’s captain, Lee Jun-seok, and other crew members off the sinking ferry. Video footage released by the Coast Guard showed no officers trying to move below deck where the students were trapped. Investigators are reviewing the cellphone videos as part of their investigation. Lee, the captain, was in his room, and the least experienced of his four mates was in charge of its navigation when the vessel suddenly listed in waters notorious for rapid and unpredictable currents. Lee and 14 other crew members have been arrested on charges of abandoning their passengers in an emergency. When he was deserting the ship, the 69-year-old captain was still in his underpants.